I hate shopping for wireless routers. Not that I shop for them often, mind you, but when I do it’s always a nightmare to some degree or other. There are too many important features to consider 10 Crucial Features to Use in Your Wireless Router Setup at Home 10 Crucial Features to Use in Your Wireless Router Setup at Home Most wireless routers are equipped with a handful of amazing features that you probably aren't taking advantage of. Here are some of the more useful ones to start exploring right now. Read More and I want one that will last a few years at least. Indeed, my biggest fear is buying one that won’t last, and unfortunately the ratio of high-to-low-quality routers has plummeted over the past decade. Sure, the features and speeds might have improved, but we’ve paid the price in other areas. Then again, some brands care about their reputations and the products they put out, and those are the brands I look to when I need a wireless router. What Makes a Good Router Brand? Note that routers from a good brand don’t necessarily have to be advanced. We aren’t talking about individual router models or individual features like tri-band Wi-Fi Are Tri-Band Wireless-AC Routers Actually Faster? Are Tri-Band Wireless-AC Routers Actually Faster? 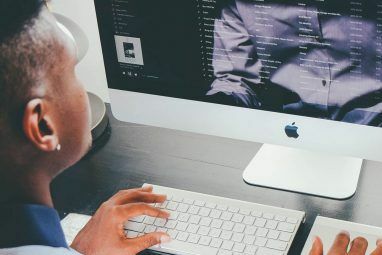 When it comes to home networking questions, what we're really looking for are two things: faster speeds and better reliability. 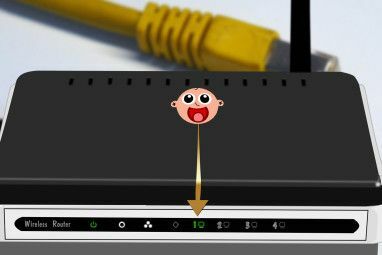 Read More or Quality of Service prioritization How to Fix Gaming & Video Lag With an Easy Router Tweak How to Fix Gaming & Video Lag With an Easy Router Tweak Tired of network lag when other people are watching videos and downloading torrents? Here's how to reclaim your network performance without any third-party tools. Read More . We’re talking overall quality across all of their offerings. Here’s what we mean by “good” brand. Price and value. Do you get what you pay for? Do you get more than what you paid for? Are the routers priced competitively and are the prices in line with the features offered? Quality and reliability. Are the products built to last? Are choice materials used in manufacturing or does the brand skimp on build quality just to knock a few dollars off the price tag? What’s the average lifespan of one of their routers? Customer support. Are people happy with the products they bought from a brand? If not, how does the brand respond? How far will they go to help you solve potential issues? And if a product is defective or doesn’t meet expectations, what will they do to rectify? 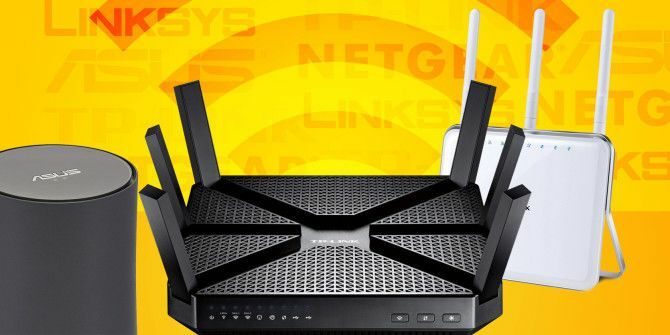 At the end of the day, the brand is only one of several factors you should consider before buying a router 8 Key Questions You Must Ask When Buying A New Wireless Router 8 Key Questions You Must Ask When Buying A New Wireless Router Here are eight questions you should ask when buying a new wireless router. Read More , but it’s an important one. Few things are worse than spending $100 on a router that breaks in six months and is backed by horrible customer support. A quick note up front: no brand is perfect. That’s the nature of business, but it’s especially true in the realm of gadgets and devices. On the whole these brands have a track record of producing good stuff, but you may run into a dud now and again. Just know that that’s normal. You probably don’t think of Google as a manufacturer of routers, but in 2015 it entered the market with its brand-new OnHub router and we’re here to tell you that it’s amazing and worth looking into 7 Reasons Why Your Next Router Should Be a Google OnHub 7 Reasons Why Your Next Router Should Be a Google OnHub Home routers are pretty much all the same. If you've seen one, you've seen them all. But the Google OnHub router is like nothing you've ever seen before. Read More . The OnHub comes in two versions — one by Asus and one by TP-Link (UK), both brands which we recommend — but they’re pretty much the same: the TP-Link has a stronger Wi-Fi signal while the Asus lets you set device network priorities with the wave of a hand. It’s the coolest home router currently available so if you’re in the market for anything other than a budget router, check it out. Google has done well with things like phones, tablets, and Chromebooks. Why not routers, too? TP-Link has become one of my favorite brands for networking-related accessories over the past few years. Despite being a Chinese company, its products don’t have the same issues of quality that other “Made in China” gadgets might have. The TP-Link Archer C3200 (UK) is a phenomenal choice with its six antennas that can support up to three wireless networks (and it’s very reasonably priced at $200). The TP-Link Archer C9 (UK) and the TP-Link TL-WR940N (UK) are also solid as mid-tier and budget-tier options, respectively. In short, TP-Link is for value buyers. You won’t find anything as flashy as a Netgear Nighthawk, for example, but you will find robust devices that provide bang for your buck. Whether you lean towards the high end or the low end, Asus routers are some of the best on the market — but especially so if you have the budget to go for one of the higher-end models. My only gripe is that they tend to be gaudy and too “gamer-ish”. The Asus RT-AC88U (UK) is arguably the best consumer-oriented router as of this writing. At close to $300 it’s going to hurt the wallet, but there aren’t too many others that can compete on its feature set. The Asus RT-AC3200 (UK) is another solid option if you want to spend less. There’s a big caveat that goes with our recommendation of Netgear: the higher-budget models are fantastic but the bottom-budget models are close to terrible. As long as you keep this in mind when shopping Netgear, you’ll most likely be fine. The Netgear Nighthawk X8 (UK) is the biggest, baddest consumer-oriented router out right now — and we mean that in the best way possible — but if the $400 price tag turns you off, the Netgear R6400 (UK) is a more reasonable option for most home users. Again, Netgear can be hit-or-miss with its router selection, so when in doubt, check the user reviews How to Know If You Can Trust an Amazon Product's Reviews How to Know If You Can Trust an Amazon Product's Reviews Amazon product reviews are hit or miss. Sometimes they're helpful, sometimes they're fake. Here's a tool you can use to check the integrity of a given product's reviews. Read More and do your due research. Linksys used to be my go-to router brand back when I was a kid who didn’t know any better (to be fair, Linksys was pretty awesome back then). I’m not saying the brand is terrible now, but you do have to exercise some caution. The thing about Linksys is that it starts getting good around the $150 mark. For budget shoppers, the only sensible option is the Linksys WRT54GL (UK) which is cheap but dependable. On the other hand, the Linksys WRT1900ACS (UK) is perfect if you have fast internet and a busy home. Take care to stay above the $150 models because you wouldn’t be the first person, nor would you be the last, who has to deal with a budget Linksys router that overheats, drops connections, or restarts at will. Which Wireless Router Do You Have? Which brand(s) do you trust most when it comes to wireless routers? Which router are you using right now? Which router brand(s) will you never buy again? Share with us in a comment below! Your interaction in your comment section is to be applauded. Most other writers just post their article and wash their hands , job done , been paid , thanks ! Your participation in the comments and your replies show that your have an interest in peoples views and opinions and obviously you seem to acknowledge that you can also learn from your readers. In Switzerland, Austria and Germany, AVM has a marekt share > 50 %. The Fritz!Box is the Swiss Army knife of routers. I even have an old one in my car, works now as a LTE-Router for phone and internet radio. It draws some attention, when I talk on a rotary phone in my convertible - priceless. I connected several of those Fritz together (VPN), so I can use my girlfriends flat rate for making phone calls. Or she can answer her "landline" when she is with me or in the car. One Fritz can repeat the other Fritz by WLAN and you can connect phones even on the repeater. It has an integrated NAS, can block phone calls, works as a DECT-Base, can operate with ISDN office phones, can make internal calls over the internet (replaces Skype) and I could go on... And it's made in Germany, not in China. Even a 10 year old Fritz is still useful, as an ATA/SIP-Adapter. Surprised to see belkin being claimed as unreliable. Have a belkin router for 7+ years and its still going strong. What about D-Link? No mention of it. Good question, Mithun! It was in the rough draft of the article but got pushed out. Basically, D-Link is okay. It isn't fantastic (it used to be) but it isn't terrible either. Or in other words, I wouldn't mind using D-Link but it's far from my first choice these days. Hope that helps! I use Fritz!box 7490 from AVM (Germany). Good wifi range, very reliable. Has survived several thunder storms so far, where others (widely available, cheaper brands) did not. Hmm, I've never heard of Fritz!box before -- and the fact that it can survive thunderstorms (I assume that means it has some kind of surge protector?) is very, very interesting. Doesn't seem like it's available in the U.S. but thanks for mentioning it, Floyd! Resists thunderstorms??? I assume he means 'lightening' strikes .. Now, yes, if an induced lightening voltage hits the grid, it might help protect ya .. IF it's like 100 mi. away!!!! but NOTHING .. NOT A THING, NO THING can protect against a close lightening strike. "Arrestors" ??? sure , they attract lightening like nice tall wet trees !!! I have tried all of these brands at one point or another in the past. My first router I had was a Linksys but it died after about a year. I had a fantastic cheap Netgear wireless B router which was my first router way back in the early 2000's and that thing lasted probably 4 or 5 years before I upgraded and the range was incredible on it. I could stay connected to it nearly 4 houses away. Granted, this was at the time where there wasn't nearly the amount of wireless interference that we have today, so the signal had nothing to compete with. I had a Buffalo router that worked pretty good for a while, probably one of the more reliable brands from a few years ago compared to the market leaders of Netgear, Dlink, and Linksys at the time (6 or 7 years ago). Belkin and Dlink have always been junk from my personal experiences (I used to call it Dead Link). These days I use TP-Link. I've had mine for over a year now and it hasn't rebooted or failed me even once yet. And this is with 2+ smart phones, tablets, smart TV's, 2 laptops, all connected to wireless, with a NAS and desktop connected to gigabit ethernet. Not a small amount of traffic! I've been tempted to try Amped wireless. I almost bought one. The real benefit is that they put out a true 1 watt transmitter power, so if you really need awesome range, this is probably the way to go. I just can't speak from personal experience on this brand yet. Excellent, nice to hear another anecdote in favor of TP-Link! I remember Netgear being big back in the early 2000s, though I don't remember if they were actually any good (I was too young to know anything back then). If you do try Amped Wireless, maybe you could come back and let me know how it goes, Shawn. I haven't heard any ringing endorsements for them yet. A humble TP Link - TD - W8968 Modem Router (30 USD) as my main Wi-Fi Modem and TP Link TL - WR720N Router (12 USD) as a signal repeater. These two covers 2000 sqft and way beyond. (between 8 walls each with 6" thick concrete) 24x7 online. What I didn't like about the modem is once or twice in a week it stops showing the SSIDs. I have to restart the modem to get it to work again. Many people complained about this particular model. I had Beetel 450 Bx modem router (36 USD - 2009), it's very compact single antenna device yet very powerful. I never had such problems with Beetel during its 6 years of 24x7 service. But overall TP Link is a big bang for buck!! Ah, that sounds annoying. I think if my router ever got to the point where I had to restart it once or twice a week, I'd consider it broken and get a replacement. (I did have a Netgear router once that required upwards of ten reboots a day. Lol, that one was terrible!) Anyway, as you say, TP-Link is still good value! Thanks for sharing, Praveen. I have a very reliable ASUS RT-N66W router and have never had a problem since I purchased her a few years ago from woot.com. Every now and then, I will have to reconfigure her, maybe once a year, but other than that, she is a very reliable and trusty router. Linksys was also my go-to router WHEN I WAS NAIVE AND NOT KNOWLEDGEABLE. Now, as a retired Network Admin, ASUS seems to pick up where Linksys left off, only IMPROVED. Yeah, the Linksys name is no longer what it used to be. A once-per-year reconfigure doesn't sound so bad to me, so I'm glad to hear that your Asus router is treating you well. Thanks for sharing, Tom! Yes, Linksys was my go-to brand for many years. But about the time Cisco bought them, the quality degraded rapidly. The stand-alone WAP's were my first failure at one-week out of warranty and a simple "so sorry" from Linksys. You mentioned Synology as being a good NAS manufacturer. Again, used to be the case. I just sold my DS214play because it began randomly dropping files or entire folders. At one point the /home share just disappeared completely with no resolution from Synology. Good thing for my multi-point backup strategy or I would have suffered a great loss. Hmm, I wasn't aware that Synology's quality had gone down. 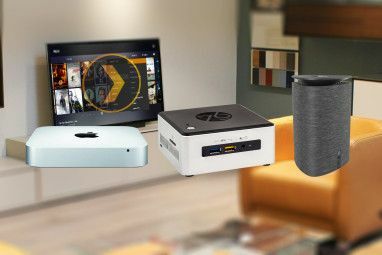 I still hear good things about their NAS devices, but not-so-good things about their other stuff. I'll have to look into that more. Thanks Roger. I use an ASUS router that was given to me by T-Mobile. It's not the biggest baddest thing on the market, but my home is 100 years old with cielings that are coated with an inch of plaster over metal mesh lath then wood lath. The walls are 8 inches thick coated the same as the cielings. This router gives me full signal and full speed as provided by my ISP even on my 3rd floor bedroom with the router on the 1st floor. 100 Mbps. No problems. Wow, that's incredible! I guess that's a strong word in favor of Asus routers. I've never had a router that could penetrate walls that thick, and to think that this was a router given to you by T-Mobile. Interesting! Thanks for sharing, Archie. I used to have a belkin router which was absolute junk. Constantly rebooting and the control panel not operating properly along with poor speeds does is all just dreadful. I now use the router that came with my plusnet fibre connection. It is the Sagemcom 2704N. It is certainly basic with only 802.11n and minimal settings but it works and nearby and wired devices achieve the full 38mb/s speeds of the broadband. Further away and through walls my computer only got 15mb/s but I bought a TP-Link desktop aerial and plugged it into my computers wireless card and now get 38mb/s. I probably will upgrade it to the TP-Link AC750 soon. Yes I've had a lot of bad experiences with Belkin routers. Then again, I've always gone for the budget or mid-tier models so perhaps I was asking for trouble. The upgrade to TP-Link sounds great! Hope it turns out well for you. Thanks for sharing, Kammak. I current;y have an "old" Linksys WRT54G which I have been thinking of upgrading/replacing but I really don't have a problem with it now . People who think replacing it will really provide me benefits, I'd like to hear. Not sure I want to upgrade just to have "something newer". Imo, I'd keep it. As far as I'm concerned, I only replace/upgrade routers when they break -- or if I really need an advanced feature that my current model doesn't have, but that has rarely happened. If it connects me to the internet, I'm happy. You forgot to add that TP-Link routers can usually be flashed with DD-WRT which often unlocks even more features for you. They are also the only ones (so far) to affirm that they will carry on supporting the open source community router flashing. There are dozens of other routers besides TP-Link that can be flashed with DD-WRT, OpenWRT and/or Tomato. Complete lists of compatible routers can be found on each software's site. Hey Steve, you're right! Actually a lot of modern routers can be flashed with DD-WRT now, but perhaps I should've mentioned that somewhere in the article. DD-WRT is really good and it's nice that you brought it up. Thanks!